Flooded in the driveway is a real problem, not so unfamiliar to RX8 owners. Summary: Mazda RX8 is a great sports car with a bad flooding problem (cold starting problems as well). The Rotary engine tends to be flooded very easily if the car is turned off before the engine fully reaches operating temperature. This happens typically when the car is started up and only moved a short distance. There was a recall to recalibrate the PCM, plus a revised leading spark plug number mentioned in this TSB, however the problem still persists in some cars that have had theses updates. Reduced starter life and damaged catalytic converters are a few of the casualties brought on by this car’s flooding problem. Flooding the cylinders causes excessive fuel in the combustion chamber and ignition cannot occur if the fuel/air ratio is disproportionate. Also flooding can cause the trochoid chamber to become “washed.” This means the film of oil on the cylinder wall is washed away and this prevents it from maintaining compression. Lack of compression can be detected by the sound of the engine turning over far too easily and the tell tale higher pitch sound as it turns over. Even after spark plugs are removed, the chamber aired out and fresh plugs are installed…without compression the engine will simply NOT start. Warming the engine up prior to turning it off will help prevent a flooding condition. Make sure the highest cranking amp battery is acquired – extra cranking power could make the difference. Synthetic oil is not recommended by Mazda for this design engine (more on this below). If taking the spark plugs out, notice that there are leading and trailing plugs – Mazda has marked the block “L” & “T.” Be sure not to cross the spark plug wires or the engine may never start! 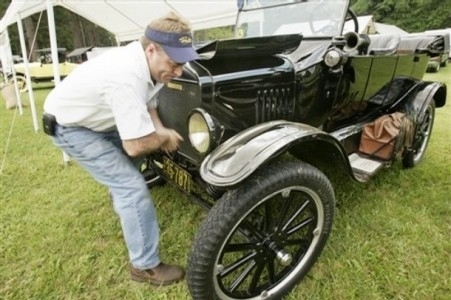 Never attempt to start the engine for one or two second duration (without it starting), if you try to start it and it doesn’t – keep in the crank position for about eight seconds. Continued attempts to try to start the engine with one to two second intervals is likely to further flood and aggravate the situation! Attempt to start the car up to three times. Allow the engine to crank for a maximum of eight seconds. Allow a minimum of three seconds between tries. The starter motor must be allowed some cool down time. Depress and hold the accelerator pedal to the floor and crank the engine for 7-8 seconds. This will clear out unburned fuel from the combustion chamber. Release the accelerator pedal and start the engine. When the engine starts, don’t race the engine or suddenly take off. Keep it running and allow the smoke to subside. 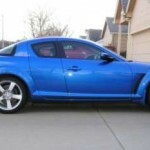 Q: Why does my RX8 use so much oil between changes? Should I switch to synthetic? A: Rotary engines are designed to use some oil, in fact they have an oil metering pump that injects oil into the engine to provide lubrication for the apex, side and corner seals of the combustion chambers. There’s no external lubrication for these seals as in the a conventional ring and piston engine. Similar to two stroke engines that inject oil instead of having oil pumped throughout the engine (remember there are no valves, lifters, etc). Old Rx7 engines injected oil into the carburetors, directly into the engine. And NO don’t use synthetic oil. The problem with synthetic oil is that it is not a petroleum based product and does not ‘burn’ well in the combustion chamber. This would result in excessive deposits on the rotors and rotor housings that could lead to engine failure. Q: Should I use a battery charger on “jump” mode when trying to start my rotary? A: Yes, to the battery charger but it’s a “no” to the jump mode. Be aware that continuing to crank the engine over repeatedly could really heat up the cable going to the starter. I would recommend using a low or medium setting on the charger and keep a fan on top of the engine blowing down toward the starter. Q: I don’t think my engine is flooded, but it sounds like no compression. Can I add some oil somehow to increase compression enough to try to start it? A: Yes, see the white paper pdf, courtesy of Mazda. Refer to Repair Procedure “B” for the steps recommended for adding oil to restore compression for starting. Linking: Please reference this auto repair article when quoting, linking to this page is welcomed and appreciated. If you are new to linking a page. 1. Left click the link; to highlight 2. Right click, select copy 3. Right click and paste to forum, blog web page etc. Thanks! Disclaimer: Repair tips are designed for informational purposes only, without warranty of any kind, in no event shall the author of this site be liable for any consequential, incidental or direct damages sustained in the course of using the information in this article. 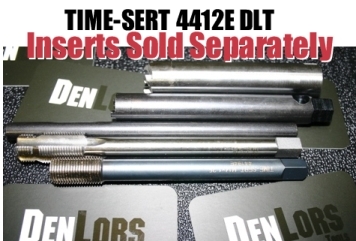 All rights reserved by DenLors Automotive Tools. Keep us in mind for auto tool needs, shop supplies and mechanics equipment. 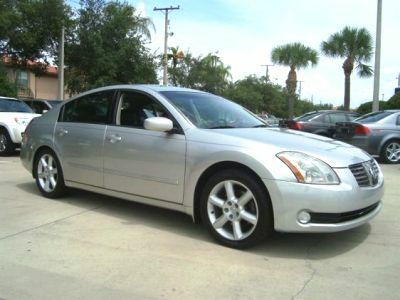 im having an issue where the car wont start, it started up yesterday after a new battery and couple tries later then i was able to keep it on with no problem then went for a drive then when i came to a complete stop id shut off then i was not able to start it up again car has new sparks pluga and coilpack, what can be the issue? Same issue as covered in the article. Sorry have no other advice. 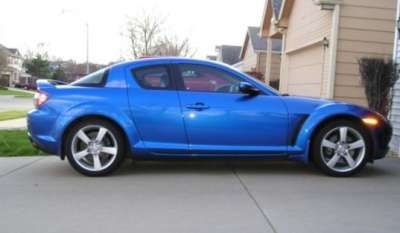 Hello Dennis, I’m second owner of 2004 Mazda RX8 MT. Prior owner had second engine mileage point unknown. I’m at 135M miles. Except for fuel additive, Cj’s followed manufacturers recommendations, etc and shift beyong 4500rpms with red line action frequently. I do know compression in Lobe 1 is 682 and #2/@ 750. I realize replacement looms. It has run well until Jan 29th, 2016. Ambient temperature was 20f. Battery is less than one year old. Prior to Jan 26th, all cold starts fired up well. On Jan 26th, upon starting, engine turned over but did not fire up. Had to get a rental car since I recently took a job in PA. I did not do your recommended start procedure as yet. Coil, plugs, and plug wires replaced 1.5 years ago. 1. Should I change coil, plugs and wires with hopes it will fire up. 2. Following your cold start procedure might work. Will try tomorrow. 3. Knowing that Lobe 1 is low in compression, would this create a cold start problem? 4. Looming engine is almost inevitable? 5. Where do you recommend purchasing a reputable, all parts replaced, motor. Crail, it’s been a long time since I personally worked a Mazda with this problem. As you can see by the date, the article was written about 7 years ago! If I was working on it I would follow the TSB procedures. I think replacing the plugs would be a good idea. They get fouled easily. Low compression could aggravate this problem. 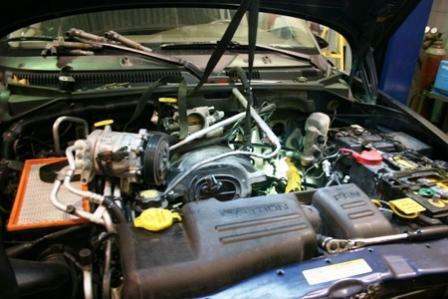 Low compression indicates a worn engine, so yes it’s likely your engine may need replacement at some point. I’d use dealer parts if possible. Good Luck.